To create a job alert on ‘Jobs Vibhaga’, open the website and log in to it by entering your username & password. Drag the mouse pointer to your username on the menu bar, you can find the submenu item ‘Job Alerts’, just click on it to open the webpage. You can find an element showing ‘Add alert’, just drag the mouse pointer and click on it. 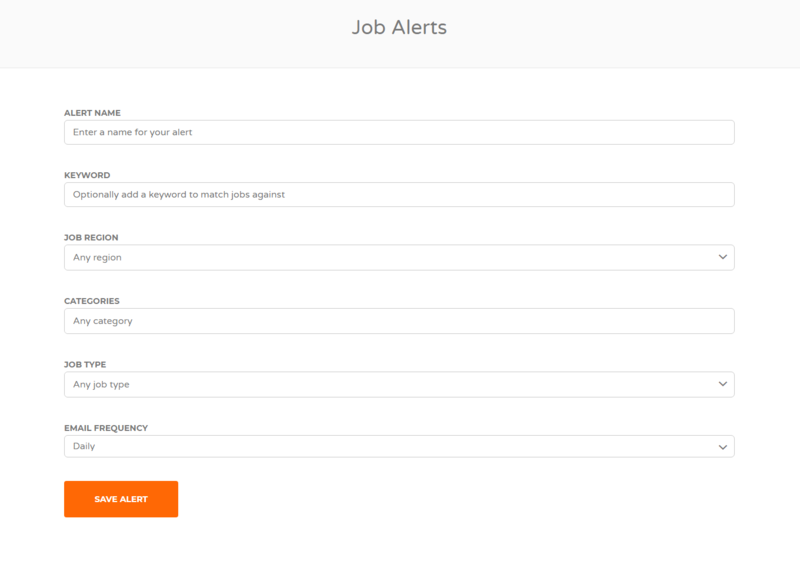 Screenshot: Job Alerts – Web page. Set a name/title for the job alert. Enter a keyword, for ex: Network Engineer, Doctor, Fresher etc., so that, if any employer post a Job Listing with any of the keywords in the details or info, then the alert will triggers. Select the region/location from the dropdown list to get the notification of a job-alert which is posted with that particular region. Select the job category from the dropdown list to get the job alert/notification or job listings posted in that category. Select the job type from the dropdown list, i.e. we can set the job-alert to notify based on this Job Type. Screenshot: Create ‘Job Alert’ – Web page. After filling the above details, click the button ‘Save Alert’. Thus the job alert is created, we can access alerts at the ‘Job Alerts’ page itself. After creating a job alert, whenever a job listing is posted matching the alert’s criteria, we will get an email notification, and we can also access the results at ‘Job Result’s page on the job-alert, there is an element ‘results’, if we click on it we will get the list of job listings matching its criteria.